Hannover, Germany － August 14th, 2018－ Thermaltake and Thermaltake Gaming Tt eSPORTS are honored that 3 products won the 2018 iF Product Design Award. 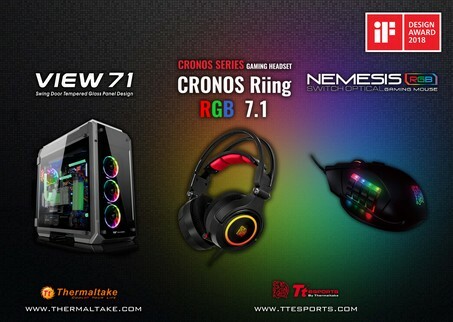 Thermaltake View 71 Tempered Glass RGB Edition Full Tower Chassis, Thermaltake Gaming Tt eSPORTS NEMESIS Switch Optical RGB Gaming Mouse and CRONOS Riing RGB 7.1 Gaming Headset were selected out of 6,402 entries from 54 countries and were judged by 63-member jury panel. Every year Thermaltake consistently presents outstanding creativity, impeccable design standard, and innovative engineering to the world. Thermaltake will continue to follow corporate mission of “Delivering the perfect user experience”, and we will continue to provide innovative products and excellent service to our customers from around the globe! It features superior performance and expandability with an incredibly beautiful case design. This elegantly designed piece utilizes swing-out side panels, and is enclosed in 4-side 5mm tempered glass (left, right, front & top) for users to demonstrate their DIY handiwork and enjoy the ultimate internal component visibility. The chassis is preinstalled with 3 Riing RGB fans for outstanding ventilation, and its seven drive trays with modular drive racks deliver advanced storage capacity and liquid cooling expansion. 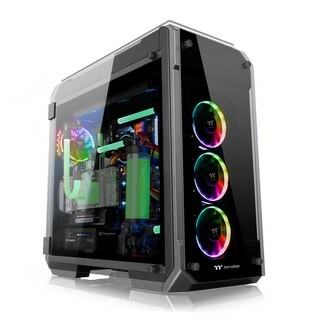 With supports for the latest PC hardware, the View 71 TG RGB Edition Full Tower Chassis is not only fascinating in appearance, and when it comes to performance, the only thing that will limit its capabilities is users’ imaginations. NEMESIS Switch Optical RGB Gaming Mouse has an exclusive patented key switching system and allows enthusiasts to customize up to 12 switch keys to suit different playing styles, hand sizes, and for enhanced ergonomic comfort. 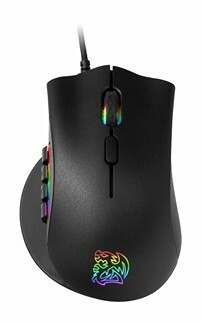 The use of Japanese branded OMRON switches with a 50-million click lifespan provides durable, consistent, and accurate tactile feel with each click for maximum responsiveness; and the use of a high-quality gaming grade PMW3360 optical sensor with up to 12000 DPI provides precision gaming to enthusiasts, whilst the utilization of 16.8million RGB colors lets users light up their battles. Users can also use the downloadable software to further customize macros, lighting effects, colors and button controls to suit their playing style to maximize their performance in-game. 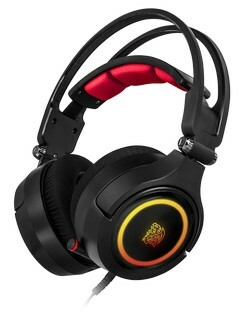 CRONOS Riing RGB 7.1 Gaming Headset is packed with latest tech features: an oversized 50mm state-of-the-art tilting neodymium driver, 16.8 million color RGB illumination with 8 different lighting effects, and the latest 7.1 premium virtual surround sound technology to offer the most immersive 3D sound experience to ensure you hear all sounds with pinpoint accuracy for that all-important competitive edge. Known as the “Design Oscar”, “iF design award” is hosted and judged by iF-International Forum Design Hannover in Germany. The “iF design Award” was introduced in 1954 and is annually conferred by the iF International Forum Design. Every year the iF attracts more than 2,000 product entries from around 37 nations, which are judged by renowned experts, with the best of them receiving an iF seal of outstanding design quality.